Start 2019 with a view to remember at SILVER MOUNTAIN RESORT. Come for the day and ski, board or tube to your heart’s delight during extended hours, then pop into Noah’s for a buffet dinner and stay for the party (cover $10) or join the family celebration at Silver Rapids Waterpark. Looking for more places to play? 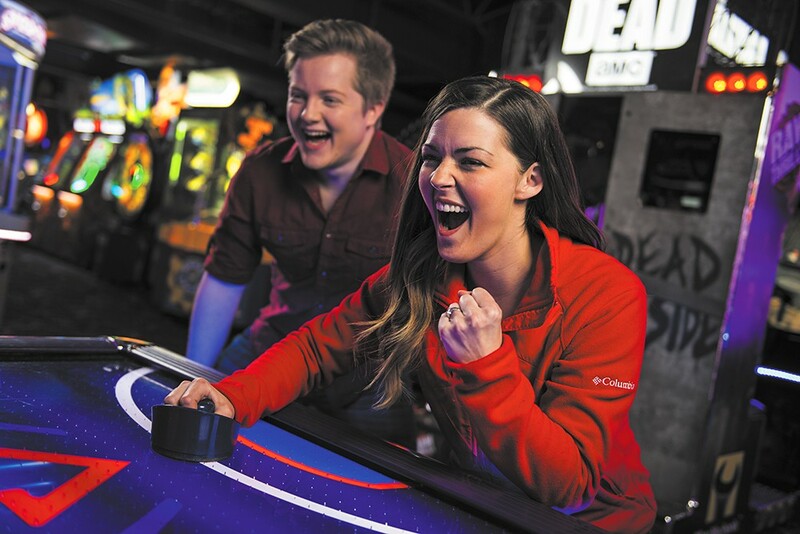 Bring the whole family to TRIPLE PLAY (3play.com) for full access to the waterpark, ropes course, and more — including a $5 arcade credit — from 6-10 pm ($24.95). For late-night fun — the waterpark is open until 10 pm and other attractions like the bumper cars, bowling and rock climbing wall until 1 am — get the all-day pass ($65.90). Stay overnight with all-inclusive room packages the whole family will appreciate. There’s always room at the BEST WESTERN PLUS COEUR D’ALENE INN (cdainn.com). Find a sitter for the kiddos and treat yourself to a fun, affordable night out at Mulligan’s Sports Bar for the New Year’s Eve pre-party, then get ready to rock out with Haze ($15). Breakfast is on the house if you stay over, so be safe and make a reservation (from $79). The COEUR D’ALENE RESORT (cdaresort.com) is your destination for closing out 2018 in style and boy, do they have options! For families, board the 8 pm cruise boat and get great seats for the 9 pm fireworks and still have time to get home before midnight ($24.50). The Dessert Cruise includes a champagne toast and a sampling of the resort’s yummy sweet treats, from 10:30 pm to just past midnight ($40.50 adults; $38.50 ages 55-and-up; $30.50 ages 3-12). Ready to rock? Board the Party Cruise boat at 9 pm and make some noise with a live DJ and complimentary champagne toast ($30, ages 21-and-older only). Does getting gussied up feel like a better fit for your New Year’s plans? Reserve your spot at the Resort’s DIAMOND SOIREE, including a fabulous buffet dinner, costume contest, live entertainment and a complimentary champagne toast at midnight. Of course, you’ll have an amazing view of both the 9 pm and midnight fireworks shows ($79 adults in advance/$100 at the door; $25 ages 6-12, until 9 pm only). Their generous overnight stay packages include two all-access tickets to the night’s festivities starting at $174 per person so you can wake up refreshed for whatever adventures 2019 has in store. Celebrate New Year’s on the slopes at Lookout Pass. The torchlight parade will wind its way down the mountain starting at 4:30 pm. There are all kinds of ways to celebrate the New Year at Schweitzer Resort, from the family-friendly tubing party (tickets $40/person) from 9:30-11:30 pm to the epic party at Taps ($50-$125/person). See visitcda.org for details. Be bold and start the New Year by racing into the chilly waters of Lake Coeur d’Alene. This beloved tradition takes place at noon along Sanders Beach.